There is something of a quiet revolution taking place in homes across the UK. Radiators still take the responsibility for heating the vast majority of homes, despite the popularity of underfloor heating, albeit usually just on the ground floor of some new build properties. But radiators are still the emitter of choice for well over 90% of the heating systems in the UK. However, the radiators being selected are tending to be more adventurous than has previously been the case. Whilst the standard steel panel radiators – the Compact designs in particular – are still the best sellers in the UK, there has been an undoubted trend in the UK radiator marketplace in the last couple of years for installers and specifiers to ‘up sell’ a standard design to a decorative radiator, either across the new home or refurbishment being undertaken, or just in the main rooms where householders may want to incorporate a more ‘up market’ radiator for their friends and families to see when they spend time in the home – in particular in the lounge and kitchen/diner type spaces and in bathrooms and master bedrooms. The bathroom was the first room in the home to benefit from something a bit more special, with the ladder towel rail being the first non-standard response to heating in a home. Towel rails and specially designed bathroom radiators tended to be tall rather than wide and the beginnings of the love affair with vertical radiators had begun. This spread to the kitchen where designer and decorative radiators began to appear, in particular vertical models which would take up less horizontal wall space, leaving more room for kitchen units. The days of a radiator being a purely functional heating emitter are long gone. Even a person looking to buy a radiator that is as inexpensive as possible expects the radiator he or she buys, to be aesthetically pleasing, to have rounded edges and an excellent paint finish. But perhaps because of the number of house renovation and decorating type programmes on the hugely expanded number of TV channels available to us all these days, more people are taking an interest in their radiators. Many no longer rely solely on their heating engineer or installer to quote for “a boiler and eight rads”. They want to know what rads, whether they will be getting an attractive towel warming radiator in the bathroom. Whether they can have an attractive vertical radiator in the hallway that everyone sees as they come through the front door. Perhaps a designer radiator in the kitchen by the breakfast bar, so anyone stopping over for something to eat sees an attractive radiator on the wall between the kitchen cabinets and the back door. People are getting more choosey and they want a say in the way their home will look. Perhaps most importantly, installers are realising that they have an additional profit opportunity here. By recommending decorative radiators, rather than any old standard radiator, they will be seeing a higher profit margin on the radiators they supply and will end up with happy customers who get stunning looking radiators rather than standard ones. The outcome is a better return on the job with a standard mark up on a more expensively priced design of radiator. So radiator manufacturers have responded to the very specific requirements of homeowners, heating engineers and installers, house builders and specifiers and architects and building designers and now offer a wide range of radiators for almost literally every possible opportunity there is in residential and commercial properties. And as well as catering for different tastes, they cater for different special needs –for example LST’s – low surface temperature radiators, are designed to protect old and vulnerable people in their homes, in nursing and care homes, in nurseries, schools, colleges and universities, in public buildings such as sports centres, swimming pools and municipal buildings like town halls, offices and the like. LST radiators ensure that the surface temperature of the casing that is supplied to fit around the radiator itself, never exceeds the safe to touch temperature of 43 degrees C. Casings are built such that they cover all hot surfaces including the pipework, so there is no chance of anyone getting a dry burn from falling against or slumping into one of these radiators. These are very much changing times. Radiator manufacturers have had to change with the times and offer a wider range of designs, a wider range of options to meet the homeowner and the installer’s preferences. 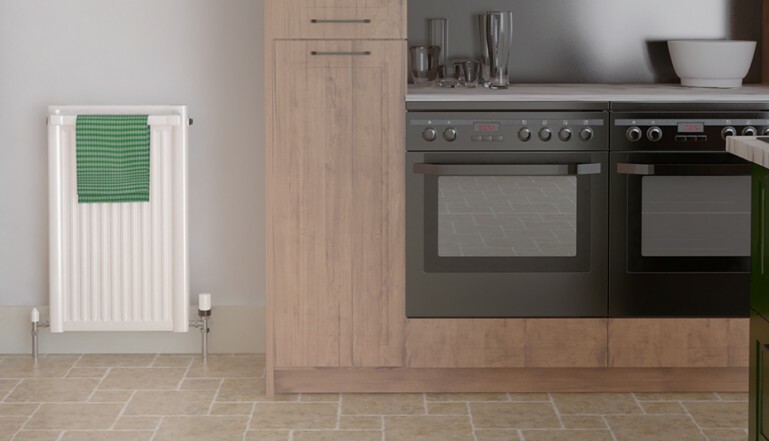 And with wider availability and broader knowledge of the options available, it’s inevitable that we see the designer and decorative radiators increasingly being installed across the UK – the requirement is for a non-standard radiator that very specifically meets the demands of the place its being installed in -requested by the installer or specifier.